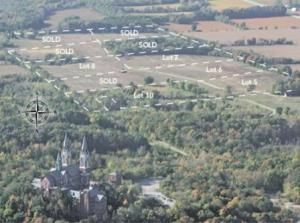 Chapel View Preserve offers an elegant country lifestyle, a tranquil retreat, and premium acreage, all situated amid the rolling terrain of the Kettle Moraine. Take advantage of the generous acreage for your own private gardens, ride horses or simply gaze at your own private view of Holy Hill. Combining the serenity of nature with the conveniences of modern life, makes this a nature lover's dream. I-94 to Hwy. 164; north to Hwy. Q; west to Hwy. K; north to Donegal Road; east to subdivision entrance. $1,498 would be your approximate monthly principal and interest payment.